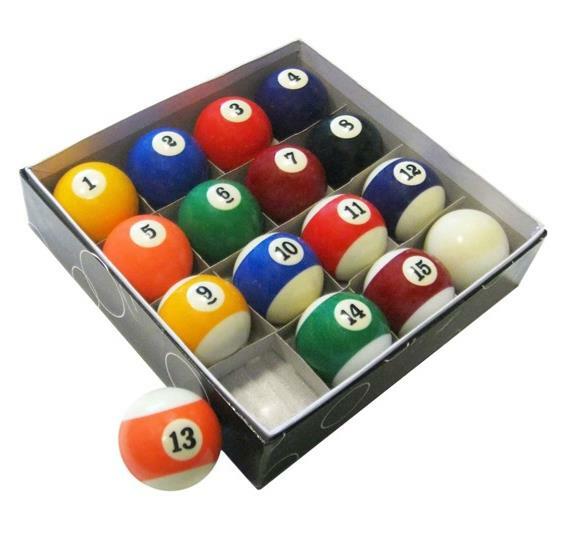 Improve your game with the professional quality Pool Table Regulation Billiard Ball Set. Improve your game with the professional quality Pool Table Regulation Billiard Ball Set. Experience the difference a perfectly engineered ball can make to your game! The premium"True Roll"Billiard Balls combine quality materials and precision engineering to create a durable, perfectly weighted, round ball that plays excellent! 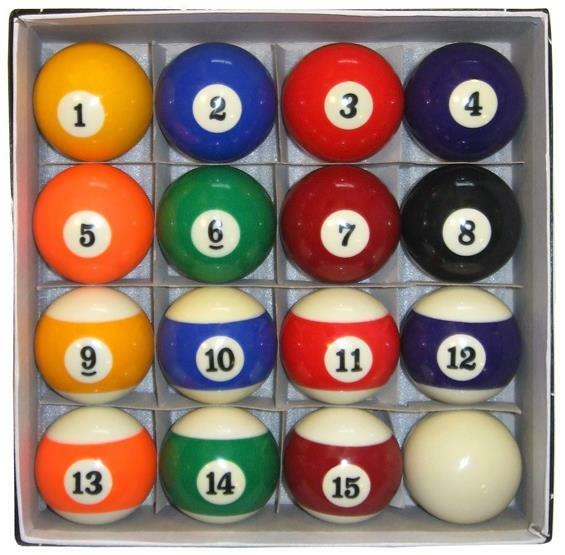 This set of 16 regulation balls are crafted from a poly resin blend and include 7 striped balls, 7 solid colored balls, one 8-ball, and one white cue ball.